WeLoveAnyCar.com found that 100% of drivers talk to their dogs in their cars in their canine survey conducted on 5th November. Next they asked, "What do you talk to your dog about in the car?" In a survey of 2000 car owners, 100% of those that owned dogs revealed that they talked to their dogs! The next question WeLoveAnyCar.com asked was, what do you talk to your dog about? 2 Destination. The motorist will tell their dog where they are going. 3 Traffic Conditions. Car owners will tell their dogs that there are; traffic jams, hold ups, good roads and other important travelling information. 4 Other Drivers. Should another driver swerve in front, make a wrong move, do something dangerous or just plain silly like suddenly breaking then the dog may well be asked his opinion. ﻿﻿6 Weather. Being British, the weather is always a subject of conversation especially if it is; too hot, too cold, too wet, too dry or if there is too much snow or sun. 7 The car. At any slight malfunction of the car, the driver will discuss this with the dogs. 8 Reward. 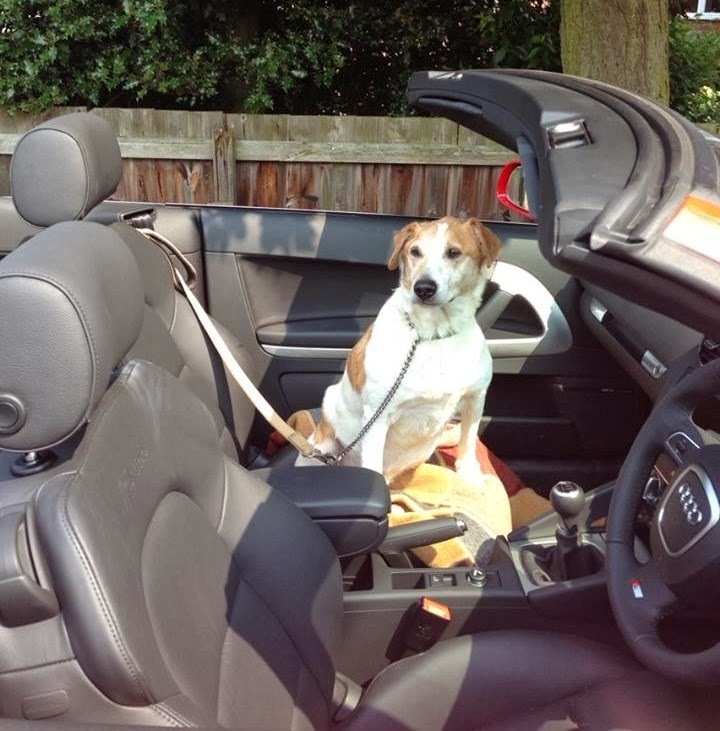 In order to encourage good dog behaviour, drivers will indicate a potential reward such as a treat or a walk. 9 Pedestrians. If drivers see; a jay walker, people crossing when they shouldn't, someone dressed strangely and especially if there is an attractive man/woman then the dog will be immediately informed. 10 Apologise. 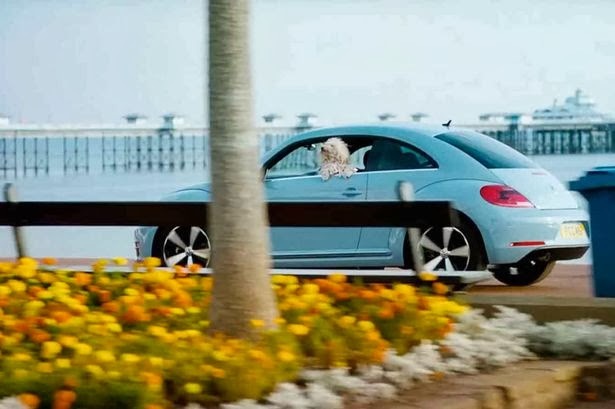 If a driver makes a wrong turn, causes a snarl up, stalls the engine, is delayed or causes any other inconvenience then the dog will be placated with a "sorry." 100% of dog owning drivers admitted to talking to their dogs. However 3.8% said they only talked to their dogs when they travelled alone with their mutt or mutts. The WeLoveAnyCar.com survey found the following dog happy drivers facts. 29% in the back seats and rest in the estate or hatch back. 60% claim to strap their dog in or hold put their dog in a carrier or cage. Shaun & Emma, Filbert's owners, talked to him every day in their Audi. Filbert died recently - of natural causes - but the cabriolet couple miss his conversation.